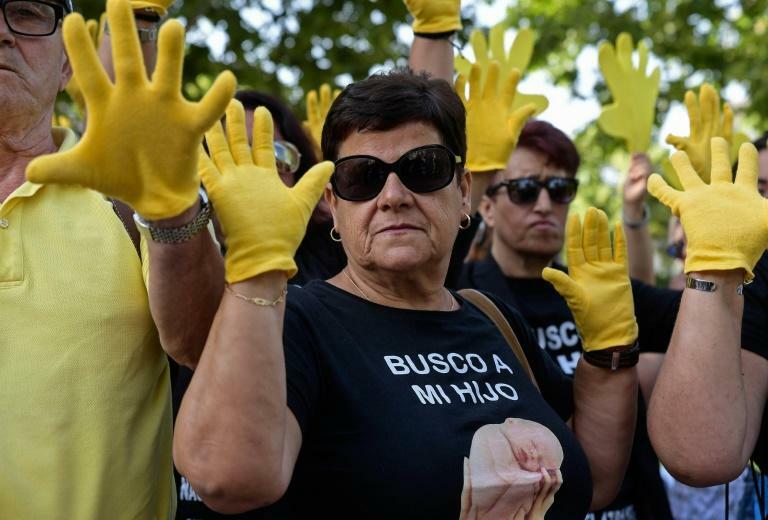 Spain's first trial linked to thousands of suspected cases of babies stolen from their mothers during the Franco dictatorship wrapped up Tuesday with prosecutors seeking 11 years jail for the elderly former gynaecologist in the dock. Eduardo Vela, 85, a former gynaecologist at the now-defunct San Ramon clinic in Madrid, is accused of having in 1969 taken Ines Madrigal, now aged 49, from her biological mother and given her to another woman who then raised her and was falsely certified as her birth mother. 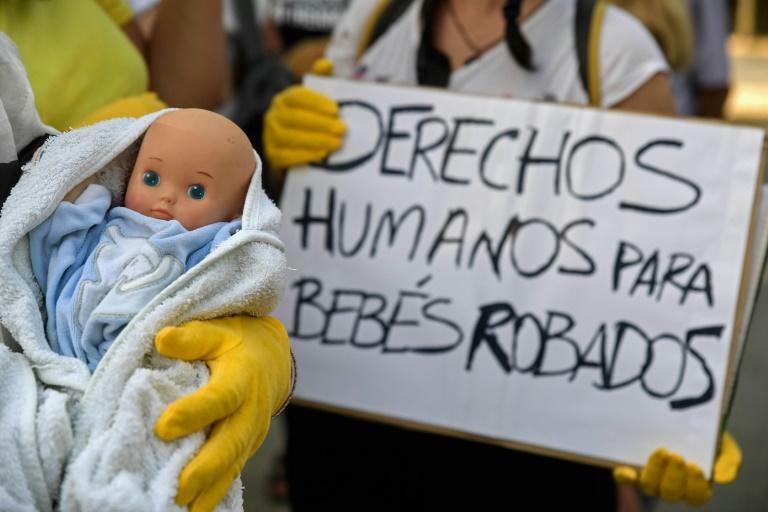 "In this country, a person who played God -- changing people's parentage, faking birth certificates like in my case and negating the right to know one's origins -- cannot remain unpunished," Madrigal told reporters at the end of the hearing in Madrid. She said she hoped the trial, whose verdict could come within a month, would help open "thousands of cases that are closed" even if she would never know who her real mother was. Activists say around 2,000 similar cases dating back to General Francisco Franco's dictatorship of 1939 to 1975 have failed to make it to court in Spain because of a lack of evidence or because the time limit to file charges has passed. In a dark and often overlooked chapter of the right-wing dictatorship, the newborns of some left-wing opponents of the regime, as well as of unmarried or poor couples, were removed from their mothers and adopted. Baby stealing began after Franco came to power following the 1936-39 civil war pitting left-wing Republicans against conservative Nationalists loyal to the general. It was part of an effort to purge Spain of Marxist influence. It was expanded to take newborns from poor families as well as illegitimate babies, and went on as an illegal trafficking network during democracy until at least 1987 when a new law was introduced to better regulate adoption. During questioning in the opening session of the trial on June 26, Vela said he could not remember details of how the clinic, which he ran for 20 years up to 1982 and is believed to have been a centre for baby trafficking, operated. He added that the signature on Madrigal's birth certificate was not his. He is accused of falsifying official documents, illegal adoption, unlawful detention and certifying a non-existent birth. The probe into the case was not without its difficulties, with a policeman declaring in court that Vela burnt his clinic's archives. But the agent insisted that "there was a plot to which Mr. Vela probably belonged" that consisted in taking babies from single mothers who were in shelters that were often run by religious orders. Emilie Helmbacher, a French journalist, also testified by videoconference. In an investigation in Madrid in December 2013, she used a hidden camera to record Vela as he appeared to confess to having given Madrigal away as a "gift" in June 1969. In the recording, he said "Ines Madrigal's mother did not pay" for her. Vela's lawyer Rafael Casas criticised the hidden camera recording and said his client had "nothing to do" with what he is accused of. Another witness, Paz Gordon, who stepped in as godmother for Madrigal's baptism, told the court that the actual mediator in her case was a Jesuit priest.